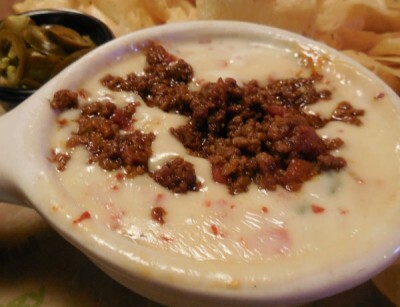 I love any sort of cheesy dips, particularly chili type dips. 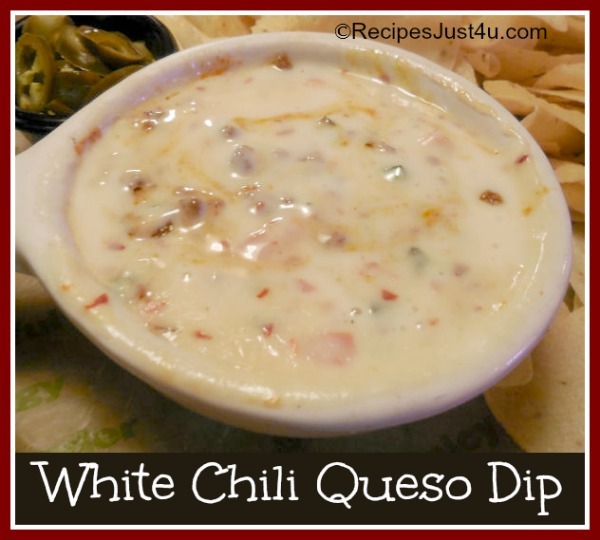 This recipe for white chili queso dip is spicy with not too much heat and just perfect for your Thanksgiving day table. It is one of my favorite easy appetizers because my guests just love it. To make the dip, you first brown some ground beef and add taco seasoning and extra chili powder to it. Then make the dip and add the beef mixture. Stir in the beef topping and serve with pita chips or tortilla chips. 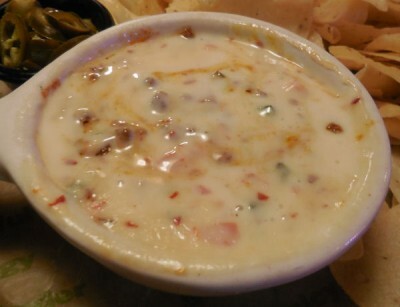 his recipe for white chili queso dip is spicy with not too much heat and just perfect for your Thanksgiving day table. Brown the ground beef and add the taco seasoning and chili powder. Stir to combine and continue cooking for another 5 minutes. Drain and set aside. Saute the onion in olive oil until tender. Add chilies, jalapenos,pepper and garlic powder and cook for 5 minutes, stirring often. Add water and pimentos, mix, and add evaporated milk and cheddar cheese. Reduce heat and stir as needed until cheese melts. Spoon the reserved ground beef mixture on the dip and mix until well combined.